Watching the presidential debates and listening to words that slander and mislead, it's easy to point fingers. And, sadly, I do. Then, as I remembered Jesus's words above, I took a self-inventory...and I realized that in this election season my speech hasn't been terribly honorable either, particularly as I've vented my deep disapproval of one of the nominees and their policies. The thought that my words--in response to their words--might someday be played back for me by the Lord gave me pause. I realized afresh that Jesus loves both our presidential nominees--amazing! They are beloved in his sight--incredible! He's given them life and he's died to give them eternal life--astounding! In response, I need to watch my words--to make sure that they don't demean or destroy. Human speech is a powerful and treasured gift. In the biblical tradition, our words are meant to build up, not tear down. The apostle Paul writes: "Let no evil talk come out of your mouths, but only what is useful for building up, as there is need, so that your words may give grace to those who hear" (Ephesians 4:29). Grace! But this call to speak grace doesn't obviate the need to speak truth. I like the way John in the prologue of his gospel, describes the ultimate Word, Jesus Christ: "And the Word became flesh and lived among us, and we have seen his glory, the glory as of a father’s only son, full of grace and truth." Grace and truth. This is what Jesus models in his life and ministry, in his speech and his deeds. He is the Word of truth who accurately describes reality. We who follow him must also speak truth: in this season, about moral and ethical character, about suitability for office, about factual accuracy. But we must speak truth with grace, just as Jesus did: keeping in view God's kindness, mercy, and love for all people, even the nominee we can't support. What a hard balance to strike, particularly in this election season. Lord, have mercy! I'm no physicist, but I'm intrigued by the little I know of the Second Law of Thermodynamics. It states that the tendency of any given natural (closed) system is to move toward entropy, toward a state of increasing disorder or chaos. We see this all around us: our bodies naturally age and become less dependable. Over time, so do our cars, our gardens, our homes, and virtually any material thing we can think of. But what of other systems? Do they, too, naturally move toward entropy, from an initial order toward an inevitable chaos? The boundless (some would now say blind) optimism of the earlier modern era suggested that with enough education, economic opportunity, or political freedom we as a human community could leave behind our wilder origins and move from predation to harmony. We could migrate from nature "red in tooth and claw" to the paradisiacal lion lying down with the lamb. Modernism seemed to deny a social Second Law. But World War I, with its mustard gas, trench warfare, and devastating loss of life, combined with World War II's Nazism, the Holocaust, and the use of atomic bombs has given the lie to such unfounded optimism. Today, the cancerous spread of ISIS, the current nadir of political demagoguery, increasingly undeniable climate change, and many other social disorders, remind us that moving toward an ordered state is not the natural way of human life. Experience has taught us that we have little basis for believing we can stop this social second law. Entropy is inevitable. However, we may see a remarkable exception in the Christian spiritual life. If what the Bible speaks of is true, in Christ, God is gathering up all things in heaven and on earth (Ephesians 1:10). Like a mosaic artist, God is reworking all the broken pieces of the world and human community, splintered and shattered by sin, into a grand, new, breathtakingly beautiful design. "I am making all things new," says God (Revelation 21:5). Long before environmentalism taught us to reduce, reuse, and recycle, there was God, graciously bringing new life from the compost heap of the natural order. As the vanguard, the leading edge of this newness, God's reborn people are meant to live into their newness by practicing the spiritual disciplines. These are the healthy rhythms of the new life, the whole life, that God intends for us and models for us in Jesus Christ. Prayer, Scripture study, worship, community, service, generosity--all of these are like food groups that nourish new life. They are the glue that connects the broken piece as they're being mended by God. As such, these disciplines introduce order into chaos. They stave off the second law of spiritual thermodynamics. They keep us on track. They corral and curtail the confusion so latent in our old lives, as it threatens to erupt and distort the new growth and new order introduced by God. Doesn't experience teach us this? How quickly we can lapse into disorder as we fail to tend the spiritual garden of our lives. I'm finding that in midlife there's a tendency to let things slide, to take the path of least resistance, to grow comfortable and lazy--in many aspects of our lives, not just the spiritual. But the frightening reality of entropy and the invitation God gives us in Christ to combat it and move toward newness give me pause. Thoughts? 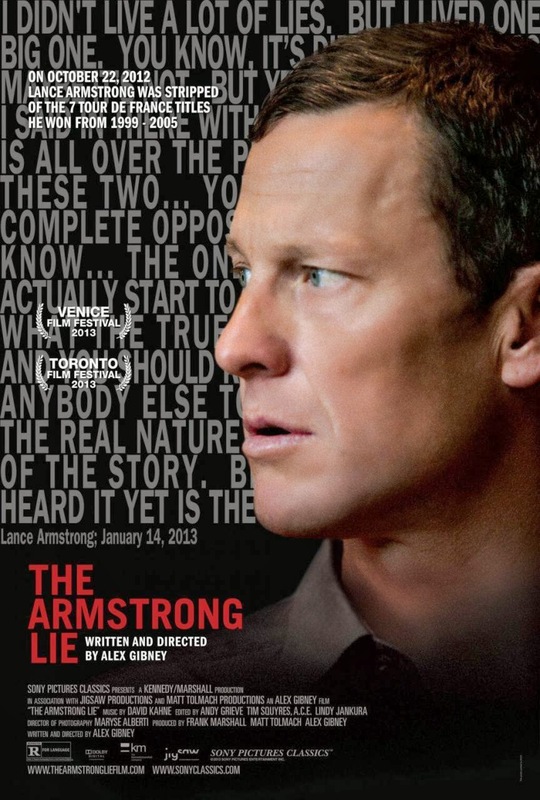 Last night I attended the Boulder premiere of Alex Gibney's newly released documentary "The Armstrong Lie." The project started as a bit of hagiography: Gibney sought to celebrate Armstrong's 2009 comeback, a plan that was derailed by Lance's subsequent doping confession to Oprah a year ago. Apparently, the disgraced cyclist agreed to have Gibney interview him post-confession as a sort of recompense. As it stands, the film is now a detailed two-hour indictment not only of Lance's falsehoods, but more importantly, of his systemic and strategic abuse of power. With the movie's references to Lance's lies, deception, and what the producer of the film, Frank Marshall, in a live interview at the theater afterwards referred to as Lance's hubris, I think the subtext of the film and this whole chapter in sports history is morality: how and why do people persist in patterns of deception and then cover them up with denial, deceit, and duplicity? And when they do this, what happens to them psychologically, morally, and spiritually? And why, oh why, when given the opportunity to own up to their transgressions, do some people stubbornly cling to their pathetic defenses, self-justifications, and self-destructive behavior? Gosh, if it weren't so egregious and banal, I'd say this is Greek tragedy we're watching, not sleazy unsportsmanlike conduct. After dragging on in its documentation, the film left me with questions about moral change: can Lance be reformed? Is he contrite? Will he accept this opportunity for spiritual illumination and character change? Or will he persist in self-justification and squander this possible moral breakthrough? Will his soul further harden as he desperately seeks to save some shreds of his former empire? Or will he soften and submit, humbly receive correction, and chart a new course for his life? Is there redemption for Lance Armstrong? Can his soul be healthy after all of this? A lot depends on him. As great as Lance's cycling achievements seemed to be, I think it was his human story (his near death experience with cancer and the hope he gave to cancer patients worldwide in his first comeback) that endeared him to a wide audience. He seemed to care for others; he was about more than cycling. "It's Not About the Bike", remember?! Or so it all appeared. Hopefully clinging to his story, Lance's fans were willing to look the other way as reports of his bullying, coverups, and unsavory behavior mounted year by year. But then these sordid revelations exposed his story as fiction. Yet his story isn't finished. I believe there's always opportunity for redemption and deliverance. But the path is often painful. Armstrong's Lie is not as important as Armstrong's soul. Late to the Party: Some Thoughts on "Breaking Bad"
Better late than never. 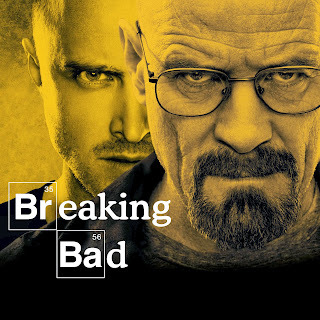 Over the years I've certainly heard the hullaballoo about AMC's Emmy award-winning TV series "Breaking Bad." Heard so much, in fact, that I finally had to find out what it's all about. Recently, I watched the last few episodes of this year's final season. Not recommended! My older son, who's been a fan of the series for several years, was aghast at my backwards viewing. I don't blame him. But I have to say I was hooked. I get it. I now see what the big deal is. For the few of you left who don't know about the series, it features a mild-mannered, milquetoasty high school science teacher, Walter White, who lives in the Albuquerque suburbs with his wife and disabled son. Walt discovers he has Stage 3.5 lung cancer (with little chance of beating it) and wants to provide for his family once he's gone. Circumstances align and he throws in with a former student to begin making methamphetamine, relying on Walt's expertise as a chemist to produce a superior product. We watch the slow and steady descent of Walt's otherwise (we assume) upstanding moral character. He "breaks bad": his choices lead him deeper and deeper into the dark side of society and, more disturbingly, into the dark aspects latent in his personality. This, I think, is why the show is so gripping. We're drawn to identify with Walter White in his sheer normalcy--and in the frightening possibility that, given the right set of circumstances, perhaps we each could break bad. We're forced to ponder the tenuous nature, the fine line, that keeps all of us from a slide into evil. Even more, we're invited to re-examine our categories of good and bad: who's really bad? Is evil the subterranean nature of all human beings? Do our social convention and traditional morality merely paper over a primeval human wickedness which can utterly undo us? That's, I think, what's so scary and compelling about "Breaking Bad." I've begun watching the show from its beginning. I'm well into Season 1. I'm seeing the subtle erosion (or is it revelation?) of Walt's character. I'm witnessing the little choices he makes to hide things from Skylar, his wife. How he uses half-truths which become habitual. The petty thefts which lead to worse. The coverups and the killings, manslaughter as it slides into murder. Family dinners juxtaposed with gangland underworlds. Gentle married pillowtalk bedded down with violent druglord beatings. Horrifying and fascinating--all of it adorned in stunning visual art, peppered with pop culture, built week by week with excellent writing, casting, and acting. As a Christian, particularly as a pastor of Spiritual Formation, someone who spends time pondering human character change, I'm asking some deeper questions: what is our human nature at its core: good or bad? 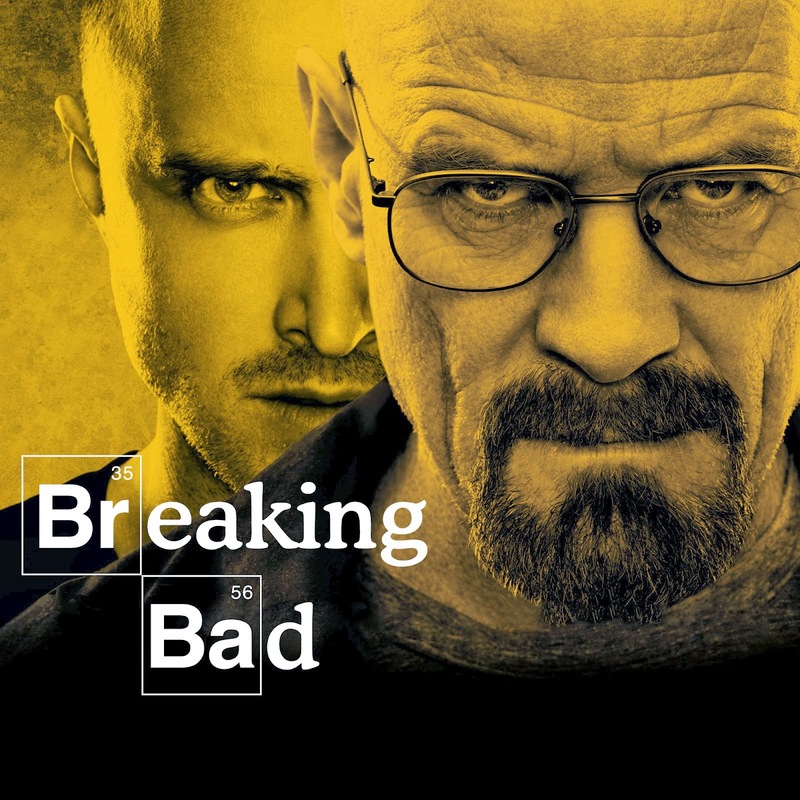 If it's good, why is there this tendency in us to "break bad"? If it's bad, why then are we so transfixed by evil, so shocked and revolted? Who are we at our core? And when our best defenses fail against breaking bad, who or what can help us? "15I do not understand my own actions. For I do not do what I want, but I do the very thing I hate. 16Now if I do what I do not want, I agree that the law is good. 17But in fact it is no longer I that do it, but sin that dwells within me. 18For I know that nothing good dwells within me, that is, in my flesh. I can will what is right, but I cannot do it. 19For I do not do the good I want, but the evil I do not want is what I do. 20Now if I do what I do not want, it is no longer I that do it, but sin that dwells within me. 21So I find it to be a law that when I want to do what is good, evil lies close at hand. 22For I delight in the law of God in my inmost self, 23but I see in my members another law at war with the law of my mind, making me captive to the law of sin that dwells in my members. 24Wretched man that I am! Who will rescue me from this body of death?" However dark our inner core may be, the light of Christ's love, mercy, and forgiveness are brighter still. We cannot out-sin the gospel of Jesus Christ. Only he has the power to raise the dead and to transform human nature. Only he can change breaking bad into breaking good.